For business owners, SEO can seem a bit too convoluted at times. 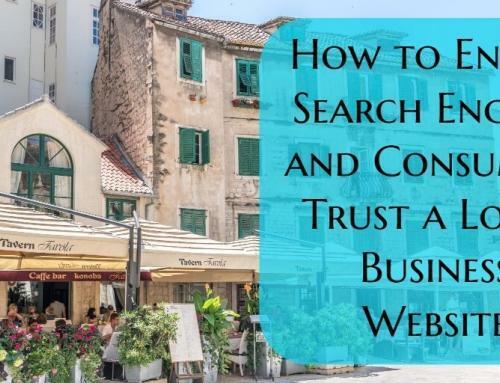 As a business owner, you have hundreds of issues to deal with and SEO may seem like a foreign and overly technical concern. Nevertheless, SEO is essential to online success. Things can become even more complicated if you're a local business as local SEO has its own set of best practices. You may not have the time or budget to implement every strategy imaginable, but there are some aspects of local SEO you absolutely shouldn't ignore. In fact, there are some steps you can take that will help your site perform well in search but aren't overly hard to implement. Before we get into the five most important factors of local SEO, let's discuss why you need to include local SEO in your online marketing efforts. As you can see, the two SERPs are very different. Local SEO will allow you to appear prominently in Google to people in your area searching for terms relative to your business. If your customer base is largely local it will absolutely supercharge your online visibility. Rather than having to worry about targeting extremely competitive searches, you can instead focus on local searchers and customers. Now that we've covered why local SEO is so important, lets take a look at the five factors that will give you the most bang for your buck. First off, you need to make sure you have created a Google+ local page for your business and verified it with Google. This page will also show where your business is located within a Google map and allow customers to leave reviews. Not only do these local pages offer a great way to represent your business on Google+, they also can help with local SEO. Google actually pulls the information they display in local SERPs from Google+ local pages. Creating a G+ local page is easy and all you really need to make one is a Google+ profile and some basic info about your business. For more information on creating a G+ local page, go here. To gain value from your Google+ local page, you must verify it. The verification process is also relatively easy. For verification, you have two options - receive a PIN number by postcard or by phone. Once you receive your PIN, follow the instructions listed in the picture above and your local page will be verified. Along with verifying your local page, you need to also make sure you completely flesh it out with all your company's information. One of the most important things to remember when filling out the information on your local page is that it needs to be accurate, and match the information on the contact page of your site. Matching this information is incredibly important - take a moment and double check that all the information listed on your site is current and accurate. Typos (and moving businesses) are common enough to warrant a quick check before attempting to verify. Next, you need to account for some on-site SEO factors. Ensuring these on-site aspects are in order will greatly improve your local SEO. Another important local SEO factor you should focus on is building local citations, also known as NAP listings. The most important thing to remember with NAP listings is consistency. You want all of your NAP listings to contain the same information. There are a few different options for locating and pursuing citation opportunities. One strategy you can employ to find relevant citation opportunities is to locate your competitors existing citations. Simply conduct a Google search by typing in their NAP information and you can quickly find their NAP listings. As you can see, this will quickly provide you with a list of potential NAP listings. If they're relevant to your competitor, they're most likely relevant to you. However, make sure to do a quick quality check as it may be possible that your competitors have listings on less than savory sites that you want to avoid. Verify you provide the same NAP information (and it matches the NAP info on your site) on every citation you build, otherwise you will lose SEO value. Another important factor to consider for your local SEO is local link building. Links remain at the core of Google's search algorithm and they remain important within local search. There are a wealth of local link building strategies and techniques you can utilize to build relevant and useful links to your site. Not only will these types of links improve your sites visibility online, they can also drive relevant traffic to your site. Finally the last SEO factor you should be concerned with is customer reviews. Getting good reviews is beneficial to your business in many ways - and this includes optimization for local SERPs. The arrows point to links to Google+ reviews of those businesses. Reviews from G+ will show up directly within the SERPs. Now that you've verified your Google+ local page, customers can leave reviews there as long as they are signed in to a G+ profile. Reviews from Google+ have a direct influence on your rankings within local SERPs, so you want to focus on getting these reviews first. Number of reviews, plus the quality of those reviews will impact your rankings in local search. A good rule of thumb is to shoot for at least ten reviews on G+ and ten more on other various review sites. Getting positive reviews can be challenging, but Here's an article that can help you get started.